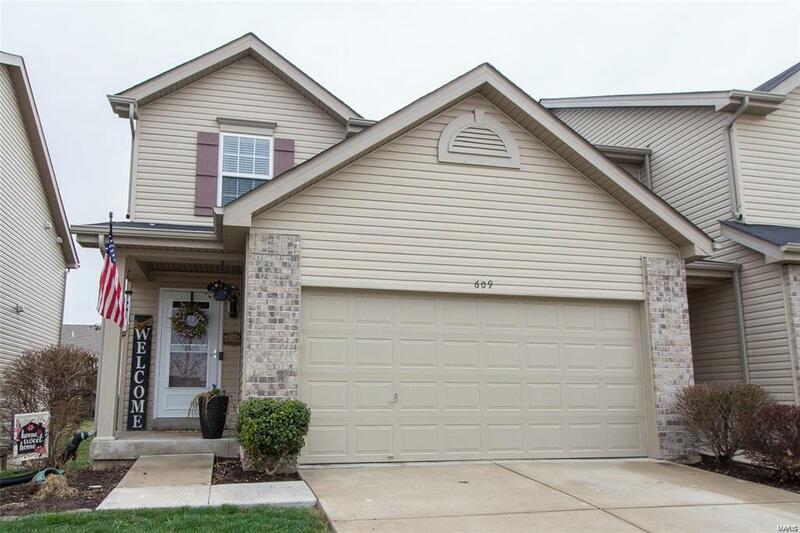 Carefree living in this charming townhome located in desirable Countryshire subdivision. Enjoy the subdivision pool, playground, tennis courts & other community activities while the association handles your lawn care needs this summer! Home features wood laminate flooring throughout, attached 2 car garage, two LARGE bedrooms, two baths & an upper level work/study area. Full basement with rough in is ready for your finish. New deck being installed. Monthly fee covers lawn care, snow removal & exterior maintenance of home. Located in the highly regarded Wentzville school district, this home is so close to shopping, restaurants & offers amazing commute via Hwy. 40/61, Page Extension or Hwy. 70. Subdivision information can be located at www.countryshirehoa.com.